Whilst we’re on that early 70s singer songwriter vibe with the recent Carole King post, it seemed an opportune time to get a couple of James Taylor songs out there as well. The paths of King and Taylor have been linked ones throughout their careers, in large part because of those songs and recordings of the early 70s. Playing regularly at The Troubadour club in West Hollywood, Taylor played guitar on King’s Tapestry, and King returned the compliment by playing on Taylor’s Sweet Baby James, his breakout album. Taylor’s first US number one single was a cover of King’s You’ve Got A Friend from Tapestry. IN 2010 the pair reunited for a tour together, using the same band they had used back in The Troubadour in 1970. Taylor is renowned as an incredibly talented guitarist, not necessarily in a flashy way, but dazzling in the sounds that he coaxes from his acoustic guitars. Sweet Baby James is taken from the sophomore album of the same name, and is a song that Taylor has cited personally as one of his best. Set in a 3/4 waltz time, the apparent simplicity of the lilting lullaby-like tune deceptively hides a more complex structure and rhyming pattern that, whilst feeling totally natural, can take a little work when trying to play it. How Sweet It Is is a cover of a Motown song by the legendary writing team of Holland-Dozier-Holland, originally recorded by Marvin Gaye. Taylor’s version, from his 1975 album Gorilla, took a more relaxed, soft-rock feel to that song, and was a huge hit. So two song sheets. Sweet Baby James, as previously mentioned, is a quite straightforward 3/4 time song, although you do need to watch the timing of lyrics and chords throughout the verses. How Sweet It Is is a little more complex chord wise. There’s a few little run downs in there that add flavour to the song, but you can make a very passable version of the song without these (I’ve shown these optional chords as subscript in the song sheet – the E11 can be replaced with a straightforward E). The song does need to swing, though! 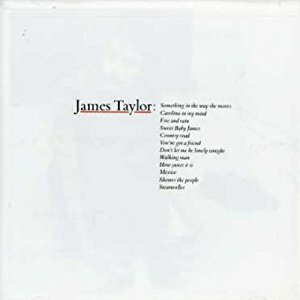 Categories: Folk-Rock, Singer-Songwriter | Tags: 1970, 1970s, 1975, Folk-Rock, James Taylor, Laurel Canyon, Singer-Songwriter, ukulele | Permalink. 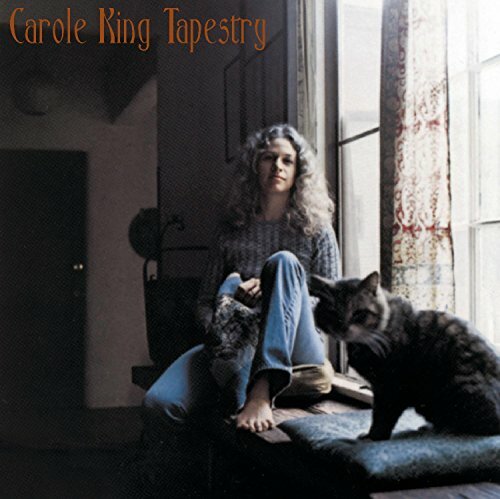 Records don’t come much more iconic that Carole King’s 1971 sophomore solo album, Tapestry. It’s a recording for which the records and superlatives are almost never ending. The winner of 4 Grammy awards in 1972 (including, album, record and song of the year), seller of 25 million copies, second only to Dark Side Of The Moon for number of weeks on the Billboard album chart (313 weeks), ranked the 36th best album ever by Rolling Stone in 2003, all of these statistics and critical acclaim are surprising when you consider that Tapestry is really such a humble and relatively unassuming record. During the 1960s King had established herself – alongside then-husband Gerry Goffin – as one of the leading songwriters in the Brill building in New York, penning hits for others such as The Loco-motion, It Might As Well Rain Until September, and Up On The Roof. But it wasn’t until the late 1960s, following a divorce from Goffin and a move to Laurel Canyon in Los Angeles, that King focused more on recording her own songs, in the process becoming the archetypal singer-songwriter. Tapestry is chock full of bone fide classics. Even if you’ve never heard it before it will be immediately familiar, the songs having become part of the DNA of popular music. It’s Too Late was the lead single (coupled with I Feel The Earth Move) and was number one on the US singles charts for 5 weeks, and won that Grammy for best record. You’ve Got A Friend won the best song Grammy, and was a US number one for 4 weeks when covered by James Taylor. I thought there would be plenty of songsheets for these songs, but none of them worked for me. So here’s my versions. There’s nothing particularly to say about these, other than they have quite a lot of chords (You’ve Got A Friend in particular). But those chords are the things that add the colour, so stick with them (You’ve Got A Friend has a few “optional” chords – in subscript – that can be easily omitted if you want). A bit of feel in the strumming is in order as well, adopting the standard ukulele strumming patterns kind-of kills these songs, so listen well to the originals to get that feel. You’ve Got A Friend (G) is a semi-tone down from the original (Ab) so you’ll need a capo on fret one if you want to play along (but it does make it a whole lot easier to play). It’s Too Late is in the same key as the original. Categories: Singer-Songwriter | Tags: 1970s, 1971, Carole King, Laurel Canyon, Singer-Songwriter, ukulele | Permalink.